Congratulations are in order for Leigh and her dog Frost and Stephanie and her dog Mara, our new friends and founders of Dames and Dogs. On Saturday, December 3rd the four of them took a road trip to Ohio for the exam to become certified therapy dog teams with Therapy Dogs International. 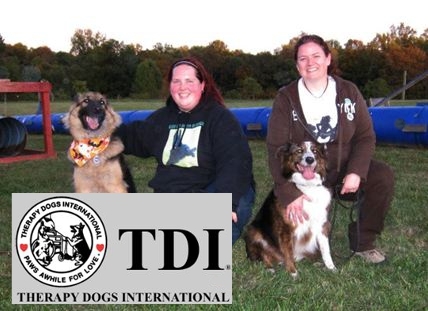 Both teams passed with flying colors and as soon as their paperwork is processed, they will be full fledged TDI members, ready to start visiting and spreading their love around Louisville. 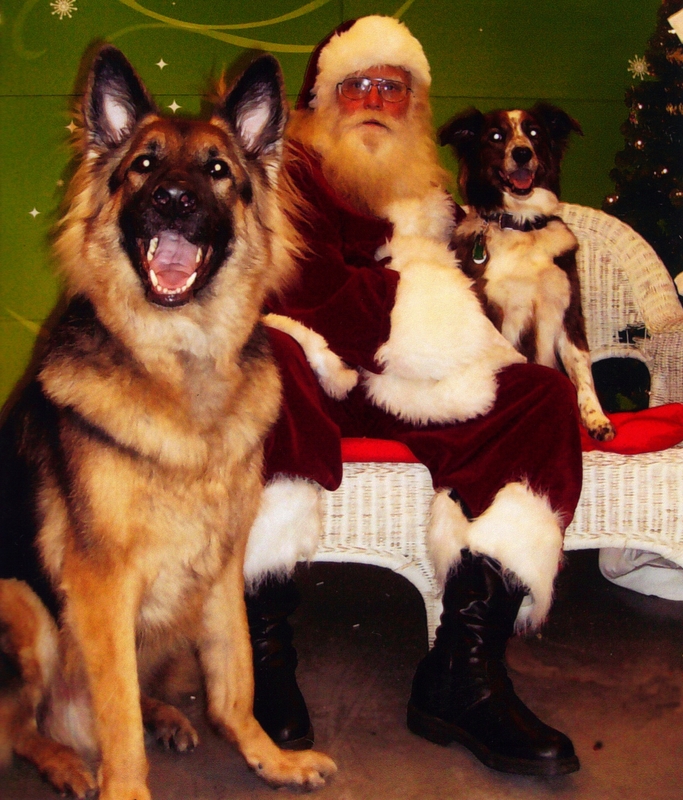 “After a little over an hour of waiting in a tight group of other dogs and handlers, it was our turn. We were in the last group of 3 to be tested for the day. You could tell that the evaluators dog, and older retriever, was getting very tired from being the helper dog for the meet and greet section of the test (16 dogs tested). The last dog was a happy little rottie girl (MEGA cute and sweet), she went to sniff the evaluators dog and the retriever snipped at her. So the evaluator removed her dog and turned to me and asked, “Can I borrow him real quick, I know he’s super reliable…” Here is someone who has JUST met me and my boy, and just from keeping a general eye on us while we were waiting to test over the past hour, calls him out as a good reliable dog. We are so proud of all four of you! Not only does Louisville now have two more pet therapy teams, but we now have enough TDI members to start our own local chapter! We can’t thank Leigh and Stephanie enough for sharing their wonderful dogs with the people who need them the most. The world will always need volunteers and they have stepped up to fill a much needed role here in Louisville. Hats off to you! This entry was posted in Therapy Dogs and tagged children, dames and dogs, dog, dog education, dog friendly, dog safety, dog travel, dogs, first pet therapy visit, grace, hospitals, john, kait, kids, KY, Louisville, max, max. grace, pet therapy, students, Tail Waggin' Tutors, teach, teaching with dogs, therapy dogs, therapy dogs international, therapy visit, training, travel, trip, walk across america, walk with dogs. Bookmark the permalink. 3 Responses to Happily welcoming Frost, Leigh, Mara, and Stephanie to the TDI team! Fantastic! Congratulations to all. The people who feel the love from you and your dogs will never be able to express it fully I’m sure but I hope you know that you are enriching peoples lives! Congratulations on starting your own chapter! Just checking in to see what was going on and o look forward to a “backward” walk this spring!